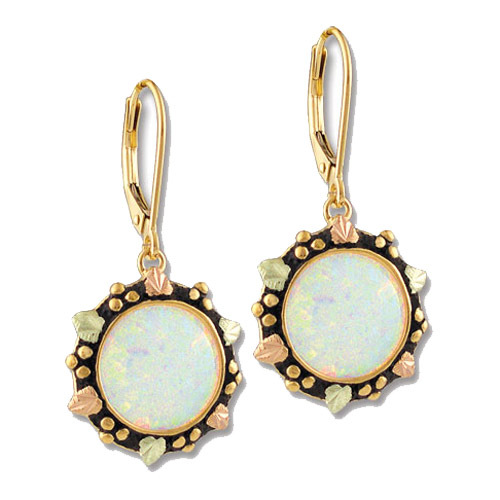 Desc: Landstrom's Black Hills Gold Opal leverback dangle earrings. The earrings are circular and the Laboratory Created Opal is bezel set in the center. Rose and green gold leaves are in the bezel along with antiquing.